With the Tour season ending on a high, Ka-pow! 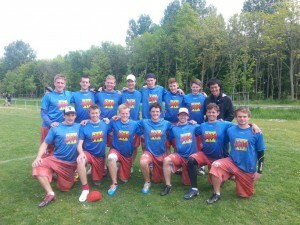 were looking to maintain their momentum at London Regionals. Featuring a squad almost at full strength and in high spirits, the team looked to finish the day filling one of the top-five berths that would guarantee a place at Nationals.